Students Offering Support (SOS) is a sustainable social venture that develops and supports SOS chapters and supports the development of sustainable education in developing nations. Each SOS chapter operates within post-secondary schools across the nation. Within each SOS chapter, volunteers tutors raise marks of their peers during SOS "Exam-AID" group review sessions prior to midterms and final exams. By charging a $20 donation to attend, our chapters raise money to ultimately raise roofs in rural communities across Latin America, funding community development infrastructure projects, providing children access to education. These projects are not just funded, but built by SOS volunteers on annual volunteer outreach trips. 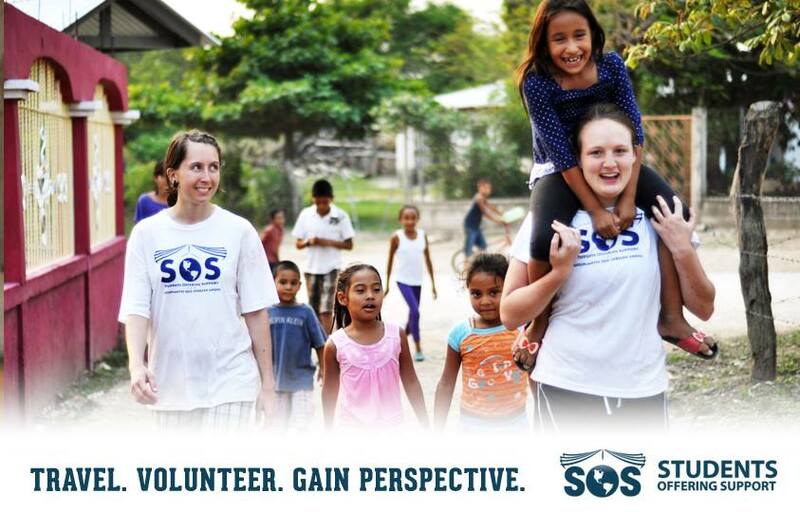 Since 2004, SOS has tutored over 50,000 students on 27 campuses from the help of 5,000 volunteers – raising $1,600,000 for sustainable development projects built by SOS student volunteers on two week outreach trips each summer. View our available career opportunities!